This Art Deco style cocktail/dining table is a truly amazing piece! 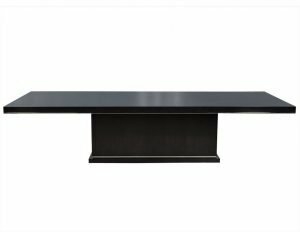 The table is crafted out of solid Cherry wood and folds to be either coffee table or dining table height. 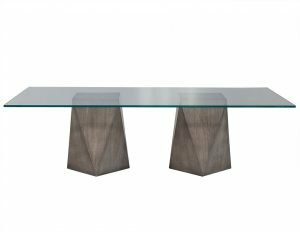 The tabletop is made of book matched African Mahogany, all in a light walnut finish sitting atop saber legs. A Carrocel Original and perfect fit for a traditional yet interesting home.